As we near the end of April, and enter into May, it is time for a quick update on what has transpired, and what tasks are approaching us as we enter into arguably, the busiest month of the season for the Turf Department. While cities and towns around us (most notably away from the lake) have enjoyed plenty of nice, warm, great growing temperatures, the North wind has kept us in check as far as turf progression this spring. You will notice that our trees and shrubs are significantly behind many other areas, as the soil temperatures are struggling to get into double digits. Of course this will change at some point, but from a turf manager's perspective, it is a reminder that I must be patient in an attempt to push along any kind of growth; until our soil temps rise, efforts are typically fruitless. If you have had the chance to get out onto the course this spring, you will notice that there are a bunch of projects still on the go, with little in the way of completion. To be frank, this is very irritating to me! Between the 3 bunkers we are filling in, fine tuning the grading on these bunkers, bunker drainage repairs, repairs near the Turf Care centre on 10 fairway, as well as a few small irrigation repairs, there seems to be a lot in progress. Of course in an ideal world, a project is started and finished before moving on, but at times there are other fires to put out (or start in some cases! ), and we must prioritize our efforts elsewhere no matter what we desire. We will get there. In speaking of irrigation, the system is up and without a doubt in the best operating condition that I have ever seen it in for this time of year. Well done to Claude for this! 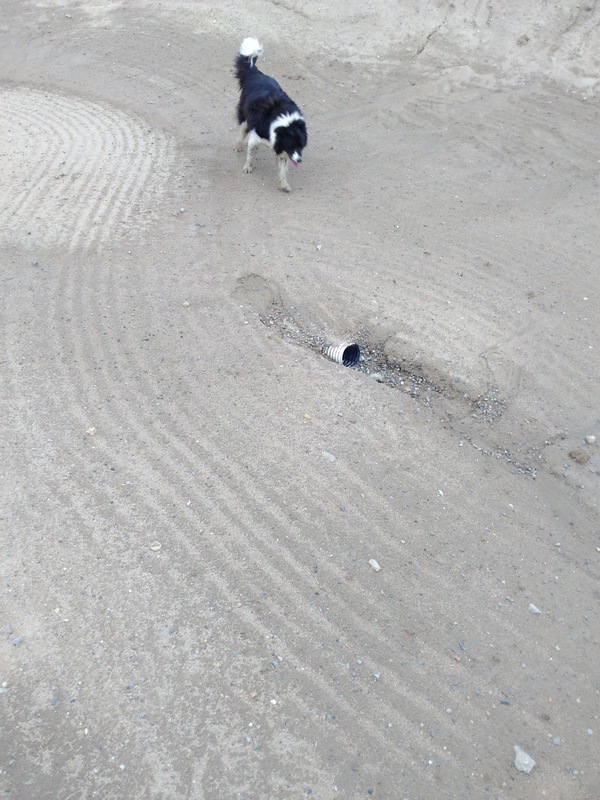 We have started to repair some of the bunker drainage issues that had popped up over the winter. If you do still see a drain tile sticking out of a bunker such as the photo below, please be aware that this bunker is considered Ground under repair, and that we will be working on rectifying the situation shortly. We are using these new found issues as an excuse to make some necessary repairs, as well as physically flushing the drain tiles, but it does require patience for us to tend to them. I am hopeful of getting sod around the most "in-play" areas of the new bunker on #2 within the next 10 days. There is still some prep work to complete, but hopefully we can get to this as soon as possible. Other items on the list of things approaching us this month include weed control, full fertilization of the property, irrigation auditing, landscape weed control, garden installation at 6 green/4 tee, bunker edging, as well as installing another test bunker on # 2. Needless to say, May is a busy time! We are not quite up to full staff levels as of yet, as we continue to welcome in the door a few new faces. I'd like to tip my cap to a couple of our newbies, Tyson and Curtis. Although they have only been present for a brief period, their impacts have most certainly been positive, and I am excited to work alongside of them this year.